Santa's looking for the best helper he can find this Christmas and your lil furry one is the one. So dress him up in the best Elf dog costume around. 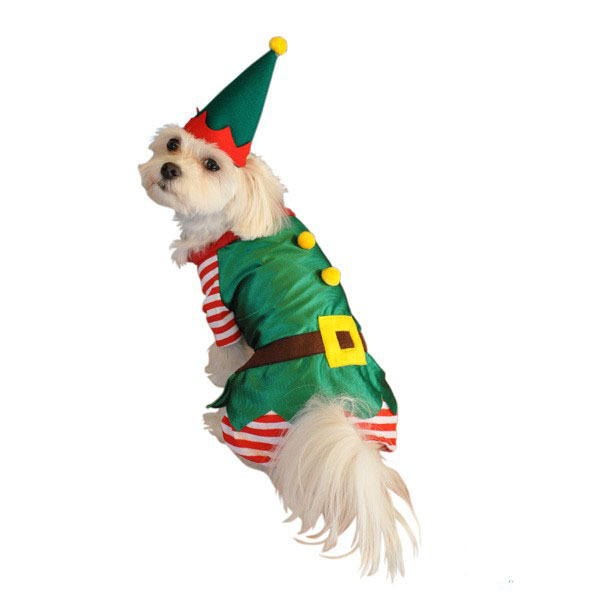 Two piece elf Christmas dog costume with matching adjustable drawstring hat. Easy to wear front closure.